SOON TO BE A MAJOR MOTION MOVIE IN 2017 starring Finn Wolfhard, Bill Skarsgard and Jaeden Lieberher. To the children, the town was their whole world. To the adults, knowing better, Derry Maine was just their home town: familiar, well-ordered for the most part. A good place to live. It was the children who saw – and felt – what made Derry so horribly different. In the storm drains, in the sewers, IT lurked, taking on the shape of every nightmare, each one’s deepest dread. Sometimes IT reached up, seizing, tearing, killing …The adults, knowing better, knew nothing. Time passed and the children grew up, moved away. The horror of IT was deep-buried, wrapped in forgetfulness. Until they were called back, once more to confront IT as IT stirred and coiled in the sullen depths of their memories, reaching up again to make their past nightmares a terrible present reality. 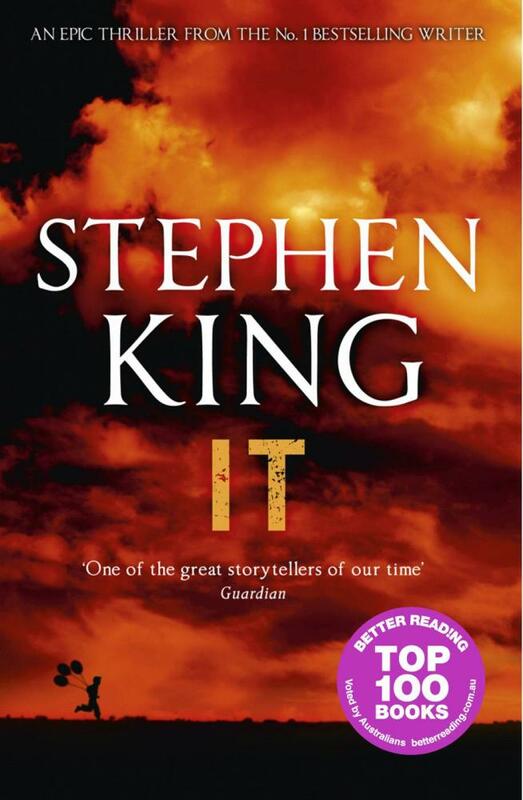 Stephen King is the bestselling author of more than 50 books. His recent work includes Mr Mercedes, Doctor Sleep and Under the Dome, now a major TV series. 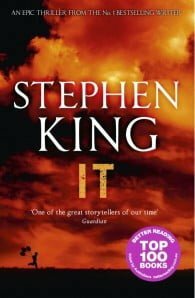 His novel 11.22.63 won the Los Angeles Times Book Prize for Mystery/Thriller as well as the Best Hardcover Book Award from the International Thriller Writers Association. Many of his books have been turned into celebrated films including Misery, The Shawshank Redemption and The Green Mile. He is the recipient of the 2003 National Book Foundation Medal for Distinguished Contribution to American Letters. He lives with his wife, novelist Tabitha King, in Maine, USA.